Paulo Eduardo Penna has been a lawyer since 1998. He is a founding partner of Novotny, Ney, Saldanha, Penna, Ponte, Vianna & Corrêa Advogados and has extensive experience in transactional matters and corporate law. Paulo assists varied types of international and domestic clients, including public companies, large, middle-cap and small private companies, entrepreneurs, private equity funds, institutional and strategic investors, startups and individuals. He provides legal counsel in transactional matters and corporate law in general, including with regard to structuring companies, corporations and consortiums, corporate governance matters, and counseling on strategic and day-to-day business issues. 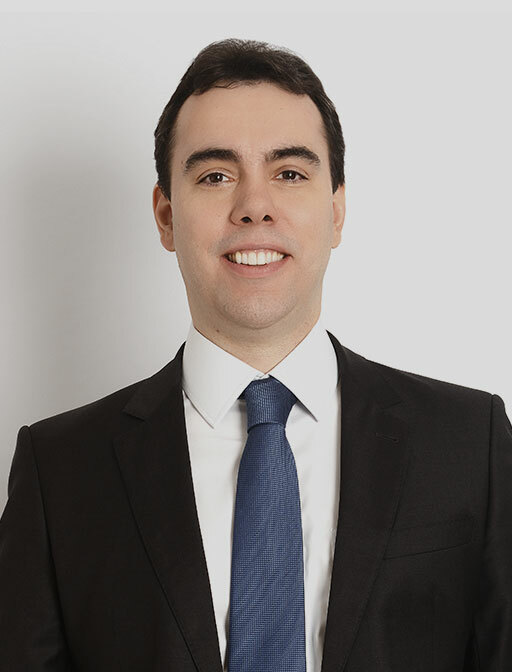 Paulo also routinely works with foreign investments in Brazil, representing international investors that wish to invest or establish themselves in Brazil. Additionally, he often assists domestic clients in investments and transactions abroad. One of his main areas of expertise is M&A. Paulo has broad experience in coordinating cross-border and domestic M&A operations, negotiating share purchase agreements, shareholders’ agreements and joint venture agreements, among other agreements in M&A transactions. His M&A experience encompasses a wide range of industry sectors, including mining, real estate, shopping malls, education, healthcare, and technology. He also assists clients in private equity transactions and in the regulatory issues of this sector. Paulo also has extensive expertise in capital markets, advising public companies, investors, investment funds and market agents across a broad range of legal and regulatory issues, including public offerings and the issuance of securities. His diverse experience also includes the negotiation of commercial contracts and financing agreements, as well as counseling on infrastructure projects. Paulo’s practice also covers corporate business restructurings and reorganizations, asset reorganization and succession planning. Paulo has been recognized by Legal 500 in the Corporate/Mergers & Acquisitions area and by Latin Lawyer in Real Estate Operations. He is a member of the Corporate Law Committee of the Brazilian Bar Association – Rio de Janeiro Section (OAB-RJ). He was previously a member of the Regulation Committee of the Brazilian Association of Private Equity and Venture Capital (ABVCAP) for four years. Paulo combines professional experience with academic activities. Since 2009 he has been a professor at the Law School of Pontifícia Universidade Católica do Rio de Janeiro, where he teaches courses on business contracts and M&A. He is also a frequent speaker in seminars and conferences. He has authored a book on the sale of control of public companies and several articles on M&A and corporate law, among other topics.